North Stradbroke is only a 45 minute ferry ride off the Queensland coast from Brisbane yet it is like stepping into another World of beautiful beaches, natural forests, rugged headlands, and iconic Australian native animals. You have to go! Take a short trip into the Gold Coast Hinterland and enjoy the afternoon visiting our boutique wineries in a glorious rainforest setting. Sit back and relax, let us do the driving. Lunch at a winery is included! 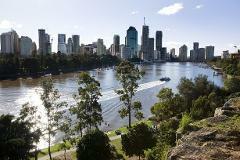 Brisbane's most comprehensive modern City Tour covering all the major Highlights in the morning including Mt Coot-tha. Fully guided. 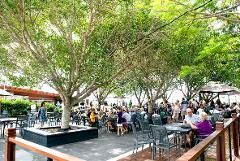 A private tour to wineries at Tamborine and Canungra Valley. 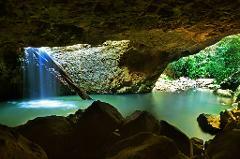 Take a short drive to the Gold Coast's scenic hinterland area a short drive from Brisbane (50min) or the Gold Coast (40min). You will visit 3 wineries plus the MT Distillery. Looking for a wine tour but want something different. Our "Indulgent Tour" could be for you. A relaxing day out where we take you to our largest and most awarded winery and our oldest rum distillery. Minimal driving and lunch is included. 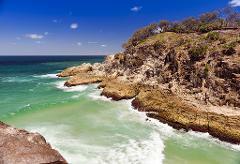 Day tour to the Sunshine Coast Hinterland and beaches including Noosa. 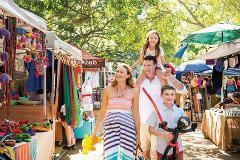 visits Montville, Eumundi Markets, Noosa, Sunshine Coast Beaches, Yandina Ginger Factory.